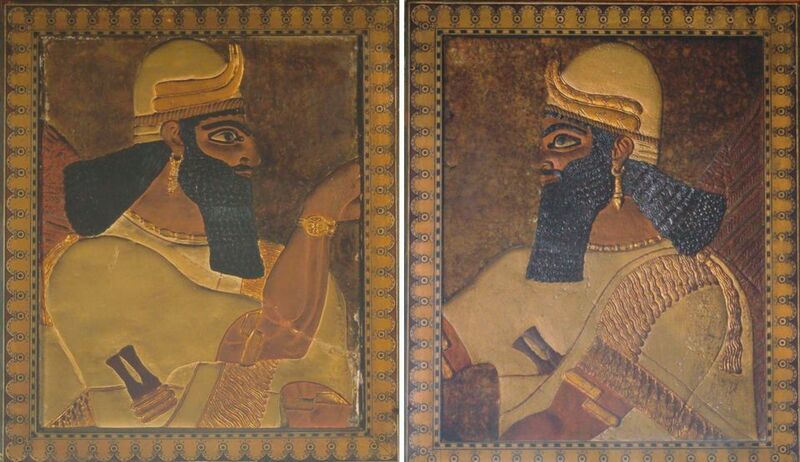 A pair of large Assyrian relief sculptures, similar to those recently destroyed by Islamic extremists in Iraq, has been quietly removed from an historic mansion in Scotland and sold abroad for £8m, despite concerns that they were part of Scotland’s heritage. 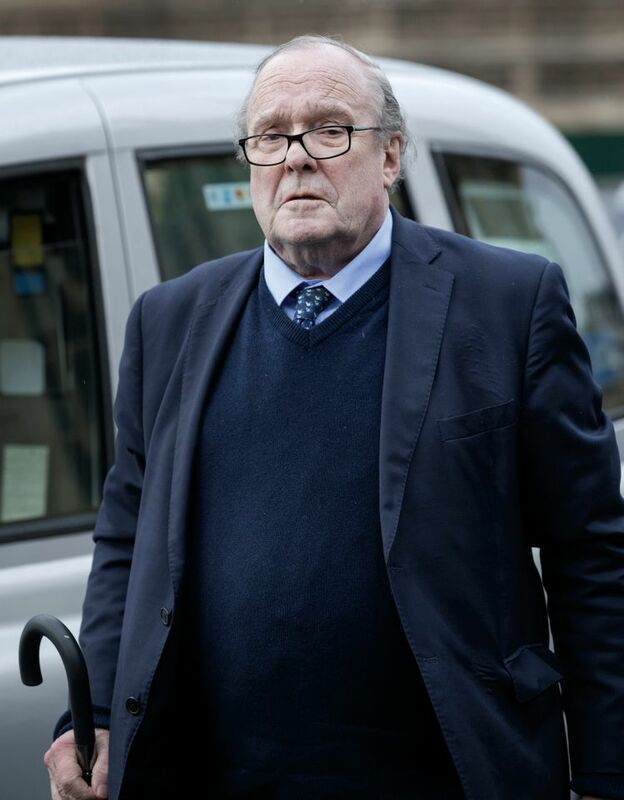 The sellers were Newbattle Abbey College and the 13th Marquess of Lothian, better known as Michael Ancram, a Conservative peer and former party chairman. Dating from BC860, the reliefs were stripped of Victorian overpaint shortly before the sale. John Curtis, the British Museum’s former keeper of the Middle East, says the removal of the paint is a “shocking and a tragic loss”. He says that “in the stripping process vestiges of original Assyrian paint may have been removed”. Curtis also privately advised that the reliefs were fixtures and he felt they should not have been taken out of Newbattle Abbey. Last November the reliefs were quietly exported from the UK. They are likely to go to a private collector or possibly to a museum in the Gulf, such as Louvre Abu Dhabi or the country’s planned Zayed National Museum. 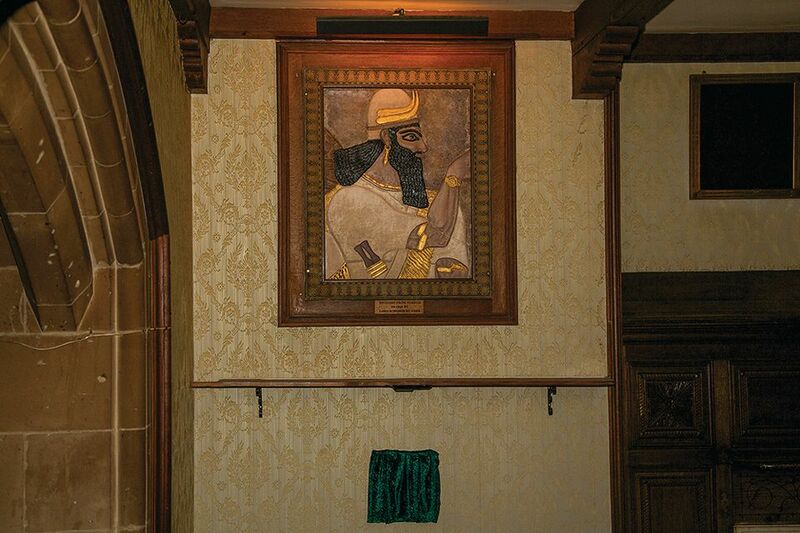 The panels were excavated by Austen Layard and were acquired in Baghdad in 1856 by the 9th Marquess of Lothian. 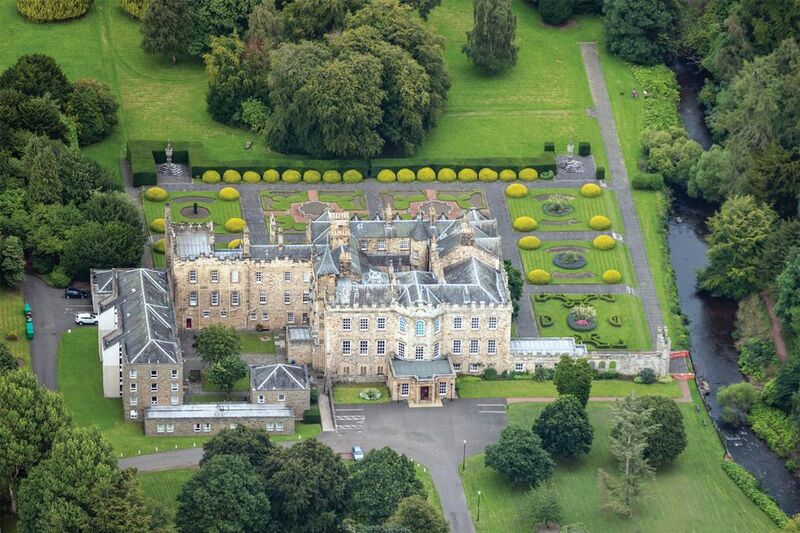 He installed them in Newbattle Abbey, his 16th-century mansion in Dalkeith, ten miles southeast of Edinburgh. Some years later they were painted, to reflect how Victorian archaeologists believed they would have originally been decorated. They were then framed and set into the walls at the entrance to the mansion’s crypt. It was unclear whether the reliefs affixed to the wall were the property of the marquess or the college, which needed funds to maintain the building. A private arrangement was therefore made to split any proceeds, with around two-thirds ultimately going to Ancram’s family. Christie’s, which had been brought in to help find a buyer, advised that it would be easier to sell the reliefs with the Victorian overpaint removed. The panels were then sent to a London restorer. Although the stripping was done with care, Assyriologists believe that traces of ancient paint were lost. Last September the stripped panels were examined by specialists, who discovered traces of ancient Egyptian Blue pigment around the eyes. In 2015, a year after the stripping, the marquess and the college decided on a change of approach, dropping Christie’s and entrusting the panels to Sotheby’s for a private sale. Although the reliefs were valued for insurance purposes at £32m in 2016, a sale at £8m was finally concluded last June. It is believed that they were bought by a European dealer, for onward resale. 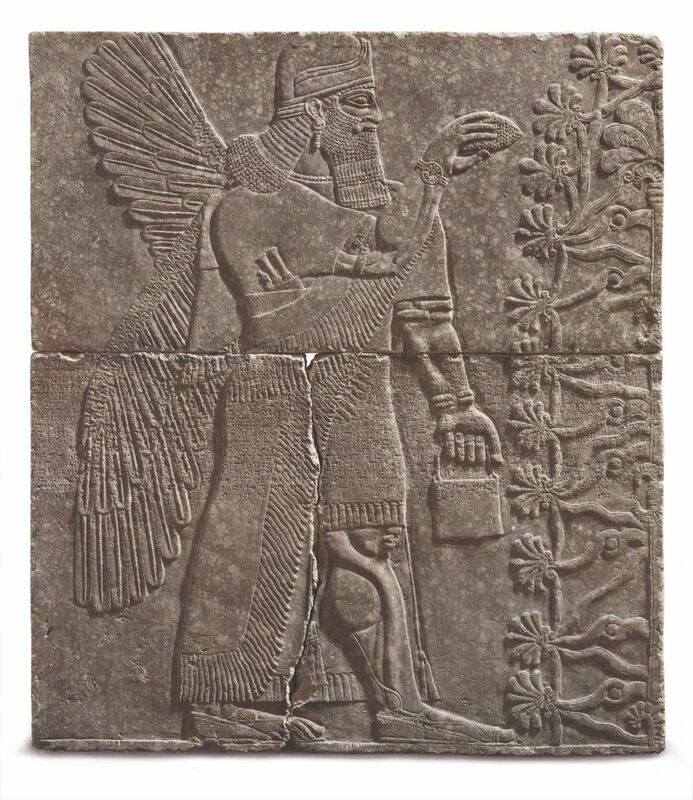 Last October, Christie’s offered a finer and larger relief of a winged deity from the very same palace in Nimrud. With an unpublished estimate of $10m, it sold for $31m at a New York auction. The Iraqi government tried to block the sale on the grounds that the relief had been looted, but this failed since the Layard excavations and removals appear to have been authorised by the Ottoman sultan. Following the Newbattle sale, the European dealer applied for a UK export licence. This was opposed by the Export Reviewing Committee’s expert, Margaret Maitland, the senior curator for the ancient Mediterranean collection at National Museums Scotland. She argued that the reliefs fell under the so-called Waverley criteria and an export licence should be deferred, to allow a UK buyer to match the price. With regard to further research, if there were surviving traces of ancient paint, “this would be of great importance to the scientific study of ancient pigments and reconstructing the original colour scheme of the [Nimrud] palace”. But when the committee met last October it unanimously voted against the advice of its expert, deciding that the reliefs did not fall under the Waverley criteria. The committee noted that there were numerous other Assyrian reliefs in UK museums. Although the reliefs were part of a significant Neo-Assyrian decorative aesthetic, “their removal from Newbattle Abbey, and subsequent cleaning, had substantially lessened their significance”. This committee’s advice was accepted by the arts minister, Michael Ellis, and an export licence was then granted. It is assumed the reliefs went to Europe in November. Neither the marquess nor the college responded to enquiries from The Art Newspaper.